My name is Kristen and I am new to the blogging world. I have always wanted to have my own blog and now I have finally taken the steps to achieve it. So this is my first blog post and I hope you enjoy it! 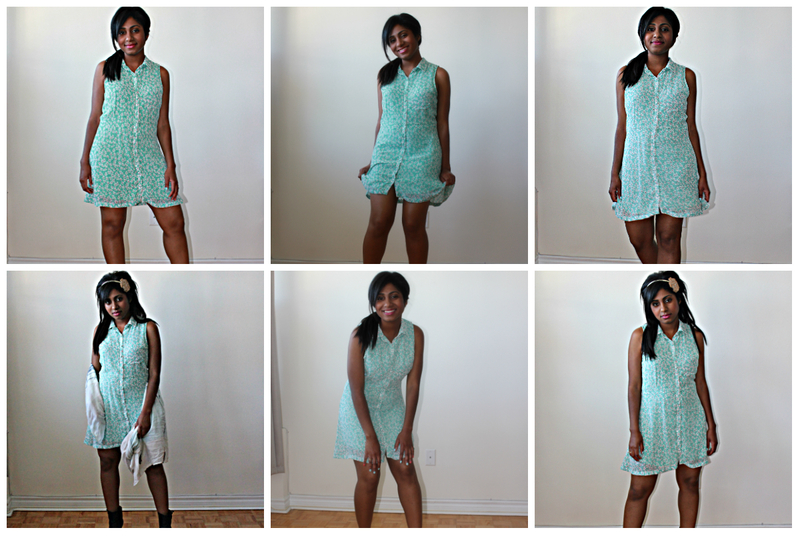 Recently I went shopping at Urban Outfitter’s and bought this really cute mint dress covered in white flowers. It was originally $79.99, but was marked on sale for $39.99. Initially when I saw it hanging up in the sale section, I was not sure if it would look good on me. It was like no dress I had purchased before, as I watched it hanging on the rack. It didn’t even look spectacular, but hey I figured that I needed something mint in my wardrobe this summer and should give it a try. Plus I have learned from previous shopping experiences that things often look better on the person than they do on a hanger. 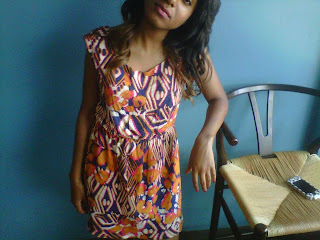 This dress is beau-ti-ful! As I watched myself standing in front of the mirror in the Urban Outfitter’s change room, I fell in love. It is so lovely on. It falls so nicely and makes me feel oh so feminine and pretty. The color looks great with my complexion, and I love the collar, which gives it a classy look. So, this is the newest item in my wardrobe. 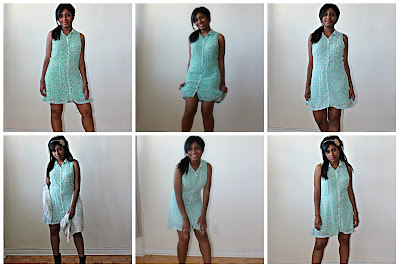 Hello cute mint dress, oh how lovely thou art. Feel free to leave a comment and don't forget to subscribe! Hey Kristen! Great first post. Have to say that dress does look great on you. I hope you post frequently! Hi Jannica, thank you for your kind comment! And yes, everyday from Monday-Friday expect to see a new post go up live!